Gay marriage is legalised in Ireland – Finally! 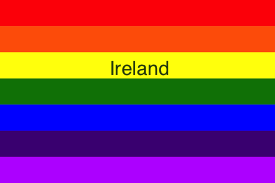 Ireland – the home of my formative years – has become the first country to legalise gay marriage through referendum. This has been a great step forward for a country that only officially legalised homosexuality twenty-five years ago. It’s a victory for Ireland and a further loosening of the grip that the Catholic Church holds on the throats of Ireland’s people. However, it must be analysed what a vote against gay marriage actually advocates.